Marking the 20th anniversary of its founding, the International Organization for Chemical Sciences in Development (IOCD) has established this award in honor of its founder, the late Pierre Crabbé, a Belgian scientist who was strongly committed to supporting research among scientists in developing countries. Elkan R. Blout, founding vice president and treasurer of IOCD, expressed his satisfaction that Pierre Crabbé is being recognized by these awards. Pierre Crabbé, said Blout, was an outstanding person and an eminent scientist who had vision and humanity for the developing worlda vision that has been recognized by IOCDs success in supporting Third World scientists. The Pierre Crabbé Award for 2003 is being presented to three distinguished African scientists for outstanding contributions to the advancement of science and education in developing countries. The three scientists are Berhanu Abegaz (Botswana), Ermias Dagne (Ethiopia), and John Bradley (South Africa), each of whom will receive a cash award and an engraved plaque. In congratulating these scientists, Jean-Marie Lehn, president of IOCD, stated, "each of these [award winners] is a dedicated scientist, whose work is not only enriching science, but also oriented to the improvement of life in their respective countries." 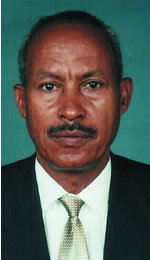 Berhanu Abegaz is a professor of chemistry at the University of Botswana in Gaborone. Abegaz, who received his doctorate in 1973, was a member of the chemistry department at the Addis Ababa University in Ethiopia from 1973 until 1994 when he joined the chemistry department of the University of Botswana. He was elected a member of the Third World Academy of Sciences in 1998. Since 2002, he has been a provisional member of the IUPAC Organic and Biomolecular Chemistry Division. A vigorous researcher in the field of natural products chemistry, Abegaz has published over 100 scientific papers and supervised the research of 17 M.S., 10 Ph.D., and 3 postdoctoral students. Beyond the walls of the university, from 1983 to 1987 he served as the first president of the Chemical Society of Ethiopia, and from 1987 to 1994 was founding editor of the Bulletin of the Chemical Society of Ethiopia. From 1984 to 1996 he was a founding member of the Natural Products Research Network for Eastern and Central Africa, and since 1992 he has been the coordinator of the Network for Analytical and Biological Services for Africa. IOCD values his participation since 1990 in its Senior Advisory Council. 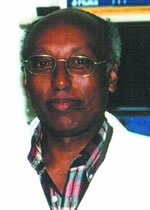 Ermias Dagne is a professor of organic chemistry at Addis Ababa University in Ethiopia. His main research is in the area of natural products chemistry, in particular in the isolation and characterization of bioactive compounds. He has published over 75 scientific papers in peer-reviewed local and international journals. He was the founding editor of SINET: Ethiopian Journal of Science from 1977-78 and the executive secretary of the Natural Products Research Network for Eastern and Central Africa from 1984-1996. In 1997, Dagne was the recipient of the IFS/Danida Award. Currently, he is leader of the African Laboratory of Natural Products, honorary president of the Horticultural Society of Ethiopia, and chairman of two charity organizations: the Getachew Bolodia Foundation and the Lucy Mother and Child Care. John Bradley is a professor in the Faculty of Science of the University of the Witwatersrand in South Africa. After obtaining his Ph.D. in chemistry from King's College, London, in 1962, he held a post-doctoral fellowship at Florida State University (USA). In 1964, he returned to South Africa and began teaching and conducting research in physical organic chemistry at the University of the Witwatersrand. In the early 1980s, (when South African higher education was still strongly white oriented), out of concern for educationally disadvantaged students, he spearheaded initiatives at his university to provide such students access to science education. These initiatives included entry-level programs for the disenfranchised and a research program in chemistry education, which has enabled 7 Ph.D.and 14 M.S. students to complete their studies under his leadership. 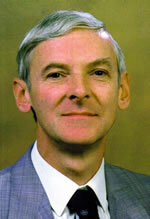 In 1990, Bradley became director of his university 's Centre for Research and Development in Mathematics, Science, and Technology Education. Aware of his leadership in science education, IUPAC asked him to join the IUPAC Committee on Teaching of Chemistry, which he chaired from 1996 to 2001. He served as education officer of the South Africa Chemical Institute from 1992 to 2000 and as its president from 1998 to 2000. IOCD is a nonprofit organization dedicated to collaborating with chemists in developing countries to bring about advances in chemistry and its application to the needs that face these countries.